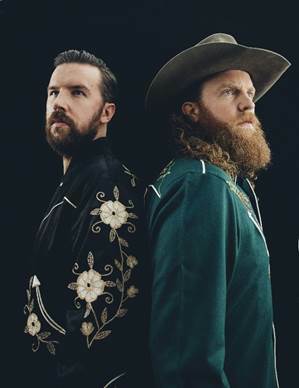 As announced yesterday by The Associated Press, EMI Nashville’s Brothers Osborne will release their sophomore album Port Saint Joe April 20. The two-time CMA “Vocal Duo of the Year” just released their new single “Shoot Me Straight” off the project which was produced by Jay Joyce (Eric Church, Little Big Town). John and TJ Osborne co-wrote every track on Port Saint Joe along with frequent collaborators Lee Thomas Miller, Kendall Marvel, Barry Dean, Shane McAnally, Troy Verges and more. The title, Port Saint Joe, reflects the small town on the Florida coast where the real-life siblings recorded the album.